You are here: Home / Uncategorized / Congratulations Tung ! 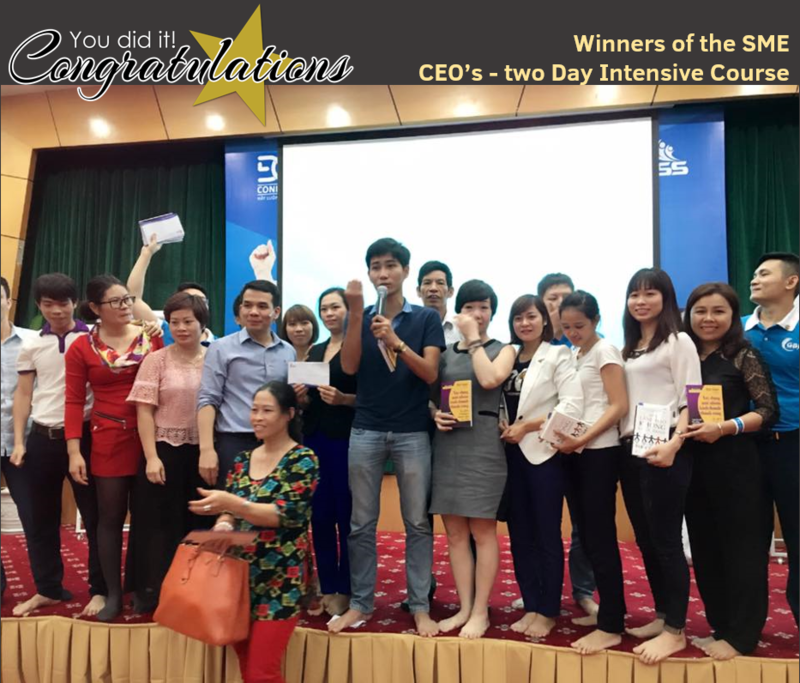 Tung Nguyen Leads a group of CEO’s to Win the SME CEO’s Intensive Course in Hanoi. Sponsored by the Global Business Network and Vietnam SME Association, this seminar was held at the Bao Son Hotel, Ba Dinh, Hanoi. Winning & Donating their 11 Million Prize Money to Charity! There were 220 participants at the seminar, and Tung Nguyen, our Group Head of Research and Development, led a team of 20; in a leadership gathering. For two days, there was a competition which divided all participants into 11 leadership groups. Leading Group number 7, Tung wasted no time in working together with his team, empowering everyone’s to introduce their own strengths and producing a leadership group that overshadowed all other groups in the game. There were leaders from all parts of Vietnam and Greater Vietnam who paid to be part of the this leadership engagement. We take our hats off to you Tung, for providing this level of leadership and appreciate your sincerity in true leadership, looking after all team members as family. Congratulations on this significant achievement.